A basic Internet connection to a VM requires you to add a firewall rule, and to set the port forwarding configuration. This procedure is illustrated here for the case of creating a connection to a Windows Server VM using a Remote Desktop Connection client. The VM needs to be attached to a 'Local with Internet Gateway' network. For more information, see How to create a network for your VDC. For the case of a Linux VM, see How to connect to your Linux VM. 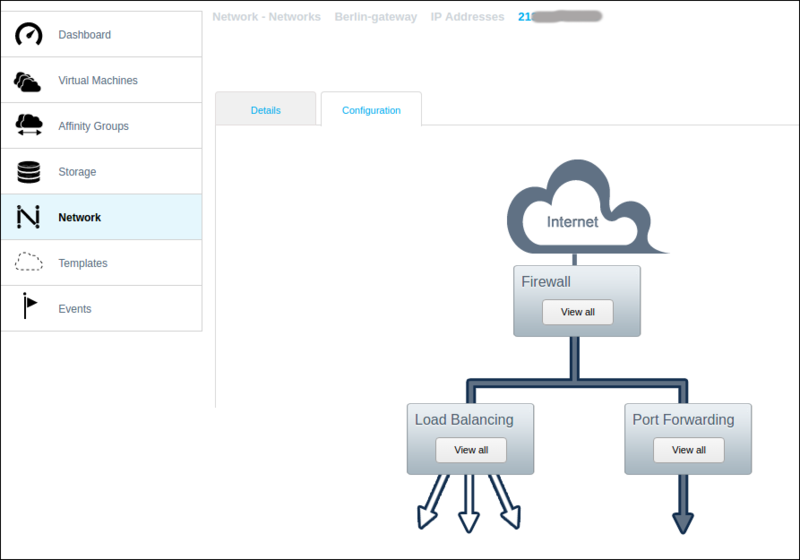 It is also possible to use the VDC built-in load balancer: see How to manage load balancing rules for your VDC. When you create a Local with Internet Gateway network, its firewall is initially set with no inbound or outbound connections. Take care that a Windows VM has a secure administrator password, before you activate any Internet connection. An alternative means of network connection from a Windows desktop is to use a software VPN. See How to enable a software VPN connection to a VM. Click View all under Firewall. This shows the list of firewall rules for this specific IP address (initially there are none). Source CIDR: the IP addresses which will be granted access to the VM, using CIDR notation; for example, use 0.0.0.0/0 for access from any Internet location. 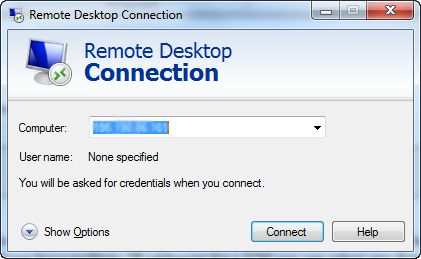 Start Port and End Port: for Remote Desktop Protocol (RDP), both of these are set to 3389. Click Add to create the firewall rule. It should appear in the list of firewall rules. If you need to change the rule, you must delete it and Add a new rule. The firewall rule allows network traffic to pass from the Internet into the VDC network. The next step is to specify what should happen to the traffic within VDC. If necessary, see the start of Step 1 to navigate to the IP Configuration sub-panel. Click View all under Port Forwarding. The shows the list of port forwarding configurations for this specific IP address (initially there are none). Private Port start and end: for RDP, both of these are set to 3389. Public Port start and end: for RDP, set these to 3389. An Add VM dialog will appear. Use the selection buttons to select the VM for this port forwarding rule. Click Apply. The new forwarding configuration should appear in the list. If you need to change the configuration, you must delete it and Add a new configuration. By using different Public Port numbers it is possible to create a set of forwarding rules so that a user may use the same connection protocol (HTTP, for example) but connect to different VMs through the same IP address. Or, different ports on the same VM: for example, if you have a web server (running on port 80) and an experimental web server (running on port 8080). For more details, see How to manage NAT and port forwarding for your VDC. Type the public IP address that you have just configured into the Computer text box. You will of course need to know the VM Administrator password, which is only displayed when the VM is deployed in the VDC Control Centre. Windows Server VMs require license activation with Microsoft. See Microsoft Windows activation for information.